The stinging nettle (Urtica dioica) is one of the most commonest of all edible wild plants. It is one of the most versatile of the 'wild greens' and has been used from everything from a green vegetable substitute (like spinach) to nettle porridge, nettle beer, nettle tea and a hair conditioner. The fibre can also be made into clothing. As a straight vegetable substitute, nettles should be gently boiled for about four minutes. They are best eaten when the plant is young, of if older just use the tops of the plant. Nice to find your blog. 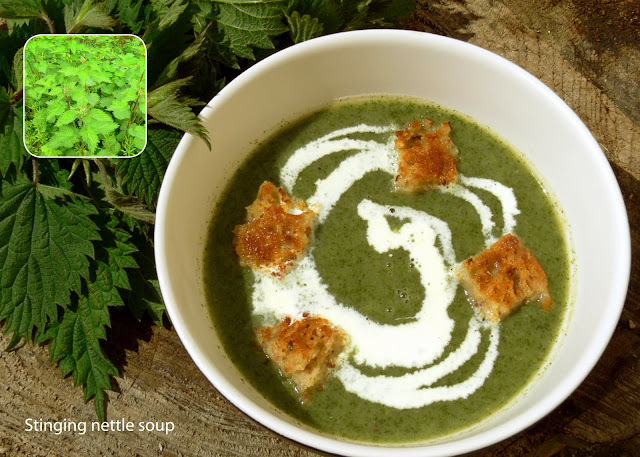 Beautiful pics in this post, of nettles and soup both!